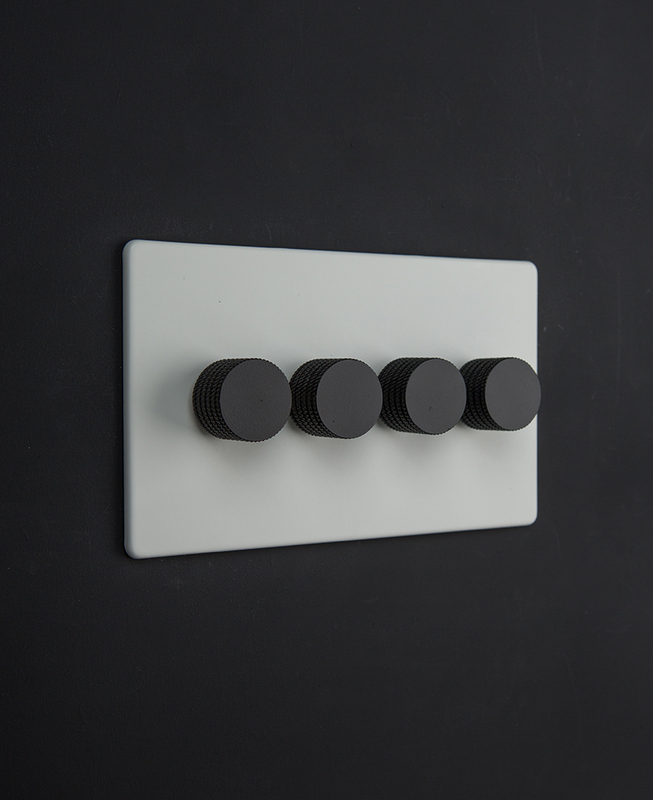 If you love sleek, minimalist design but need a super-duper-multi-tasking dimmer switch then you’ve hit the jackpot. Our white quadruple dimmer switch’s stylishly unfussy exterior completely belies its mega lighting capabilities! Who’d have thought that something so simple and discreet looking could do so much to alter the whole ambiance of a room? 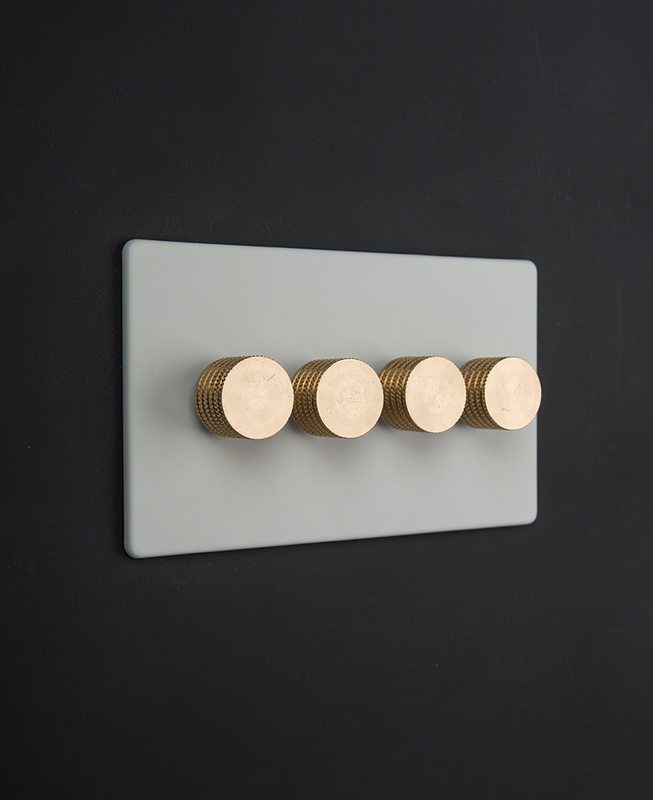 We know it’s the dimmer knobs that get the most feels, but firstly we’d just like to bring your attention to the plate as we think it deserves a good stroke every now and again too. With its gorgeous satin white coated steel finish, it really does feel silky smooth to the touch. In stark contrast, the knobs bring something else to the table. Still touchy-feely, but this time in a tactile textured kind of way. It’s all about taking the rough with the smooth. The edges have been knurled, and done so for good reason too; it makes them really grippy, giving you good purchase when you’re turning them on and off. If you’re ‘umming’ and ‘arring’ about which colour switches and sockets to go for, then be rest assured that you really can’t go wrong with white. Always a classic and never a fad, this white dimmer switch will see you through umpteen different room makeovers and will forever stand the test of time. Seamlessly slotting into all kinds of interior styles, even as your interior décor evolves with trends, you definitely won’t need to think about replacing this switch. We’ve got loads more stylish white switches, dimmers and sockets in the range too, from single dimmers to toggles and even USB charging ports. All with the same beautiful styling for a coordinated look. And if you’re feeling a bit bamboozled by all the light switch language then have a read of our guide light switches explained to find out the difference between 1, 2 & 3 gang plus when to use 1 way, 2 way and intermediate switches.